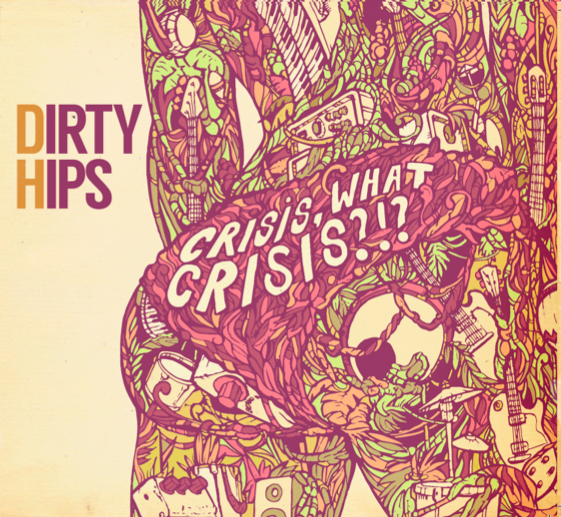 On 16/4/2016 Dirty Hips released their self recorded and produced debutalbum 'Crisis, What Crisis?!?'. This got celebrated with a huge party at The Ballroom of CC Muze in Heusden-Zolder (scroll down for a video compilation). Songs like 'The Day I Met Her In The Park' and 'Your Love' got featured on Belgian national radio. So, thanks for visiting this webspace, take a look around and enjoy! Debutalbum 'Crisis, What Crisis?!?' (CD) releasedate 16/4/2016.